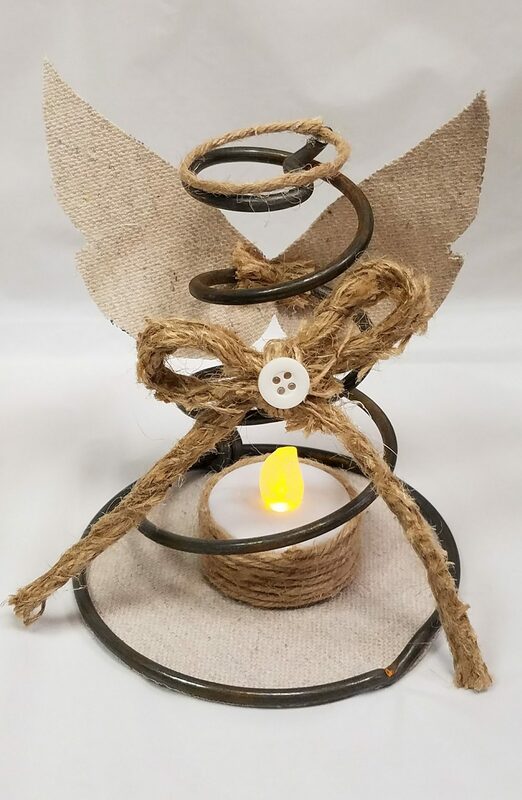 Angels from an old mattress spring #easydiy Click To Tweet Who doesn’t love Christmas angels? Now, isn’t it even better if it’s from upcycled materials? If you have been following this blog you should know by now that I love making things. Especially from unusual or unexpected materials. I love upcycling and recycling things and making “new” things. The results may really surprise you. Who here remembers my bar table using an umbrella stand as a base? 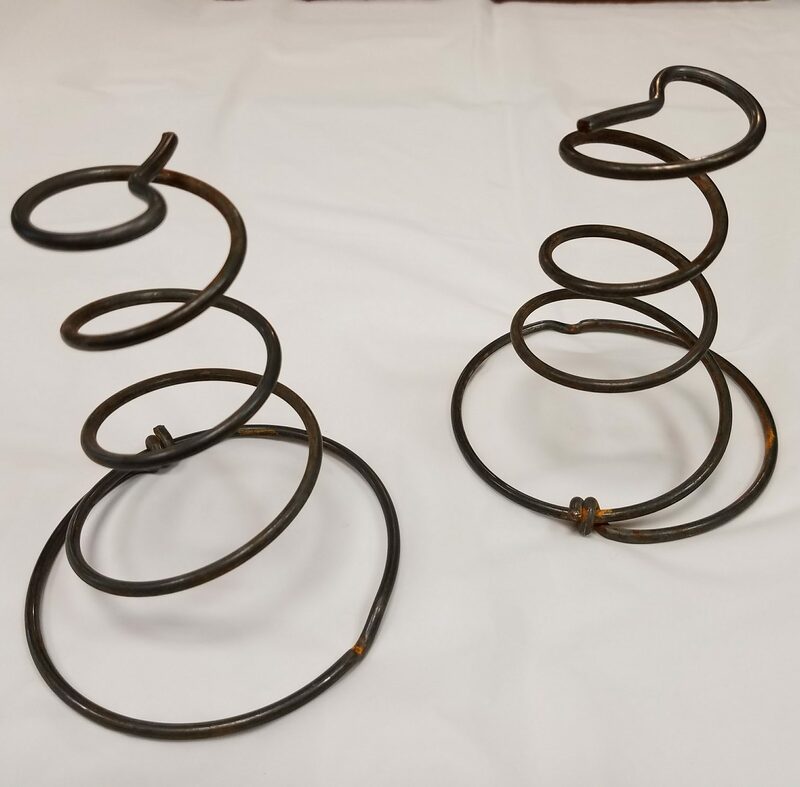 That’s why I could not help myself when I came across these old mattress springs in a pile of discarded items. I’m not a hoarder by any means. In fact, if my house is not organized I can’t even function. But when I see materials that can be turned into something new, I keep it. In a world of consumerism, where everything is disposable I’d like to think that I’m saving the world one upcycled/recycled project at a time. And I get to have something “new” without spending much, if at all. It’s like Christmas morning every time! So before you throw away something that is well built, it’s not broken and that could use a little bit of TLC, think twice. Can you paint it and make it look new? What if it just looks “tired” but you would totally keep it if it just looked a little more updated? Wouldn’t it be better than spending money on something that already works but just needs some “love”? Of course, looking back I could have made a pretty nifty terrarium to plant some succulents! Sigh. The one that got away! (….but it was soo ugleeee!). And how about my bathroom vanity from the same bathroom project? It was an original 1965 vanity that I magically transformed with just some paint and new trim to give it a facelift. Now, it looks like a modern “Shaker” style vanity that people are paying top dollar to get. That project cost me $200 only. And that includes a new sink AND the counter top. The reason I’m saying all this is because I made this project using only things I had around the house. Some of the materials are remnants from other projects that I saved for future projects that would eventually pop in my head (see my Christmas tags project below). While I am giving you a list of the materials I used, remember that you can use your creativity and use any materials you like. 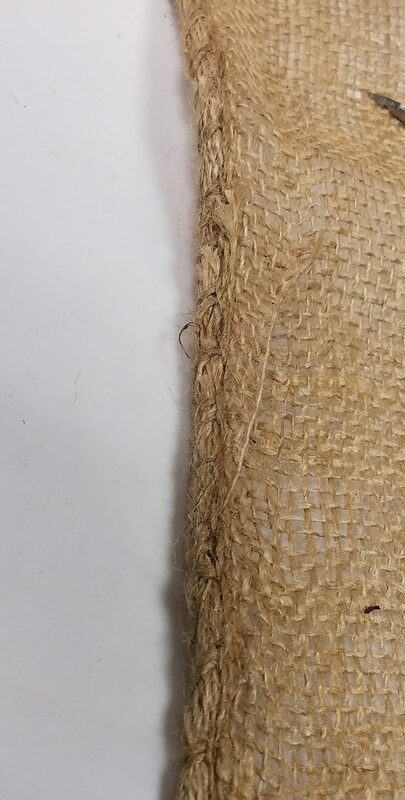 Any fabric that you think could work can be used. You can also use paper or cardstock for the details. The first thing you want to do is design and cut the angel wings. For that, you can free hand it or you can find an image online as inspiration. 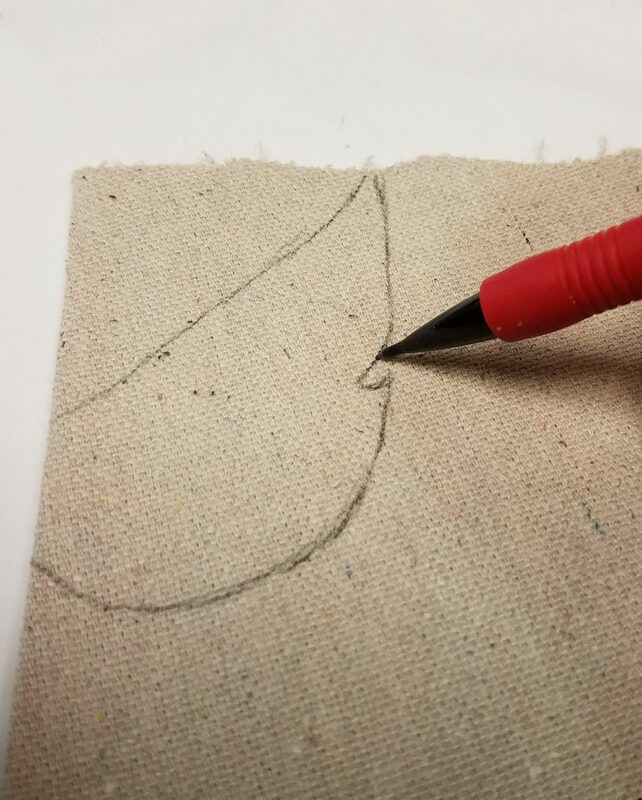 Before you trace the shape of the wings fold the fabric in half so when you cut the wings they will have the same size and shape. 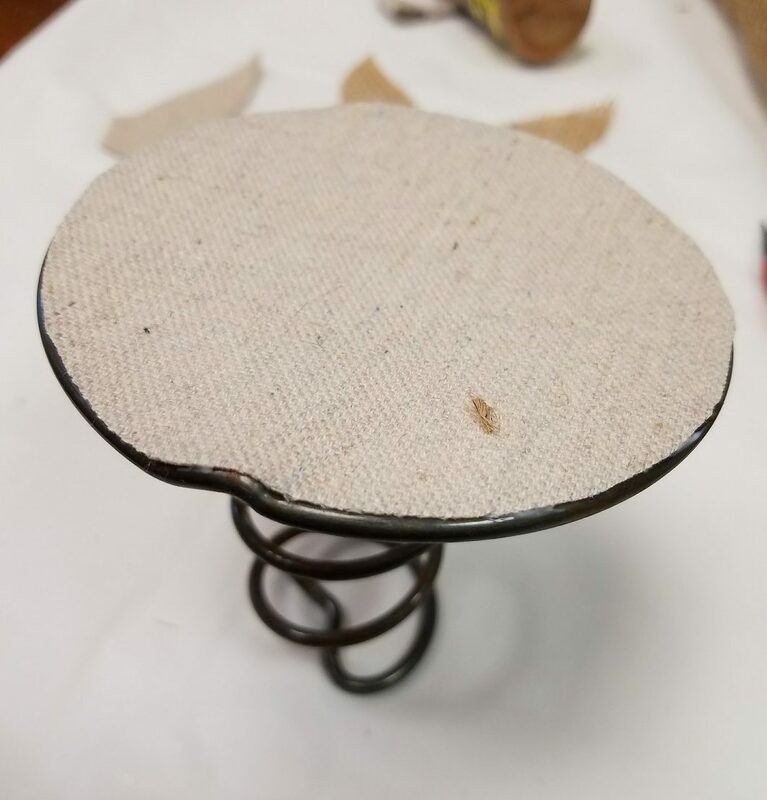 Then you need to place the base of the spring onto the drop cloth (or burlap) and trace it around the spring. 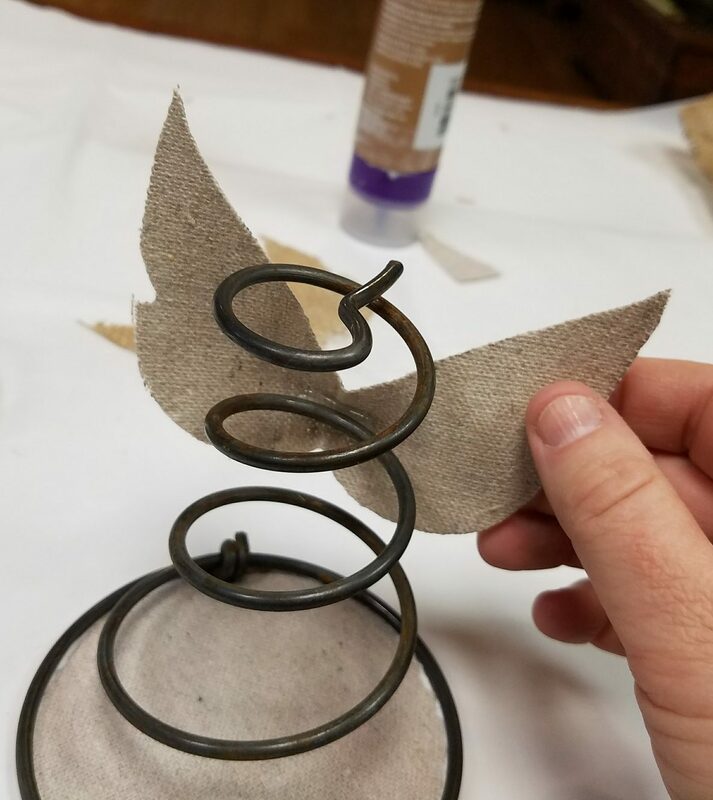 Cut and use “tacky glue” to glue the base onto the spring. Note that this step is optional. 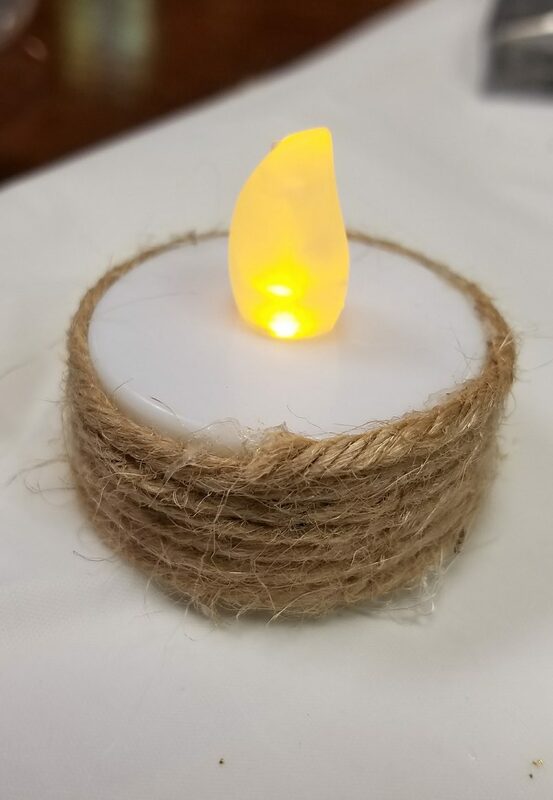 This can serve as a base for your electronic candle. Hot glue the wing onto the back of the spring (Yes, I know the spring is circular). 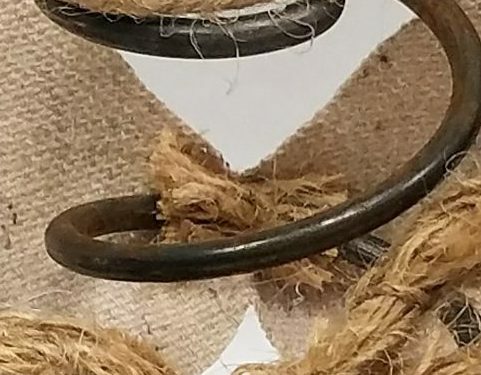 You just have to decide where you want the wing placed (notice the hook at the top of the spring on the image? I wanted that straight tip to point backward). The next step is to decorate the “front” of your angel. 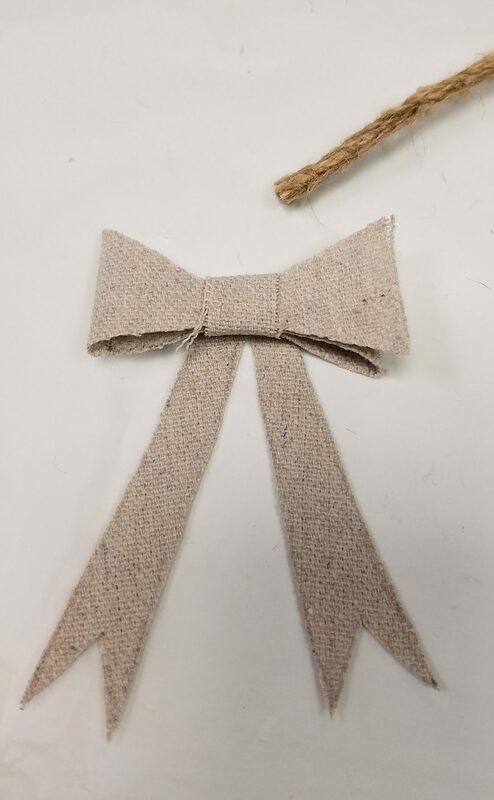 I chose to make a bow by cutting the edging part of the burlap for one of the angels. I hot glued each bow on the “front” of my angels and then used buttons to decorate the bows and give them a “homey” feel to them. After the wings and bows were in place, it was time to make a “halo” for my angels. 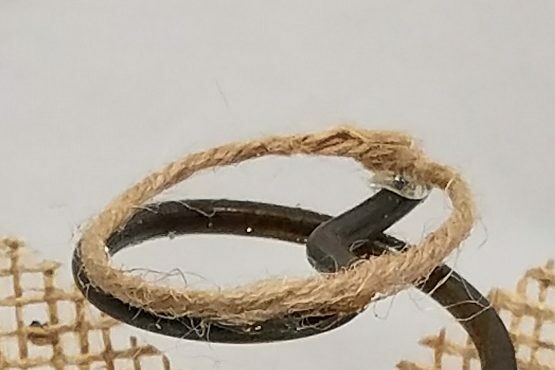 I used a piece of sisal twine and made a circle for each angel. Just hot glue the tips to make a circle about the size of the top of the spring. 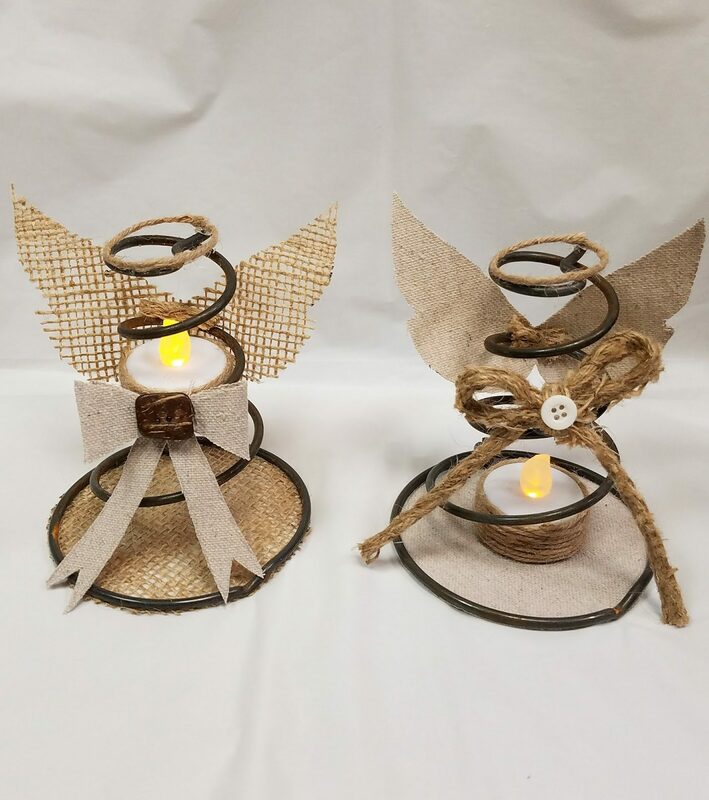 Now that your angel is pretty much ready, it’s time to make it shine! 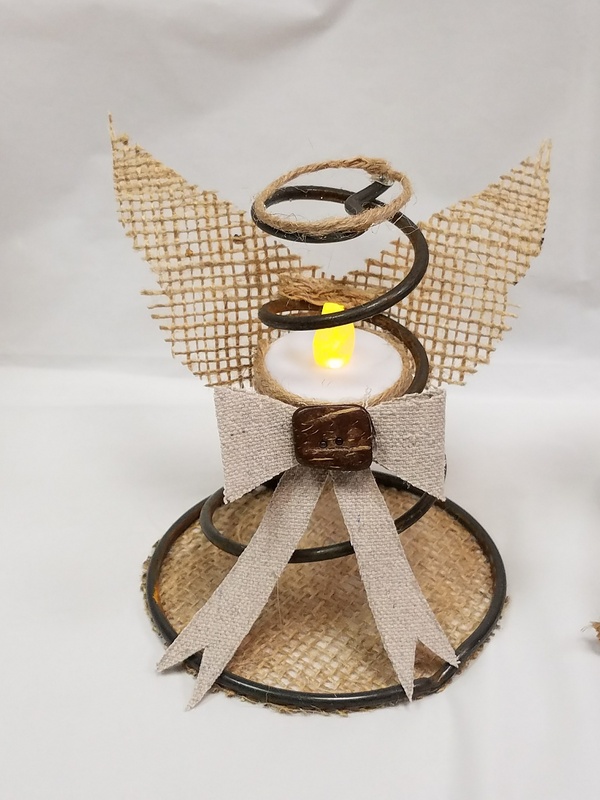 Because the electronic candle is not the prettiest thing in close up, I decided to cover the side with sisal twine to make it blend in with the angel. 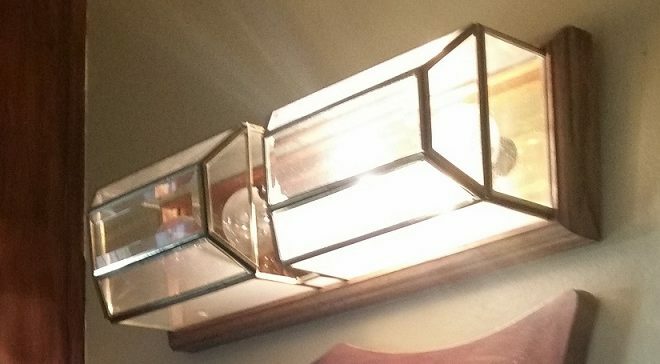 The only visible part would be the top of the candle and the light. 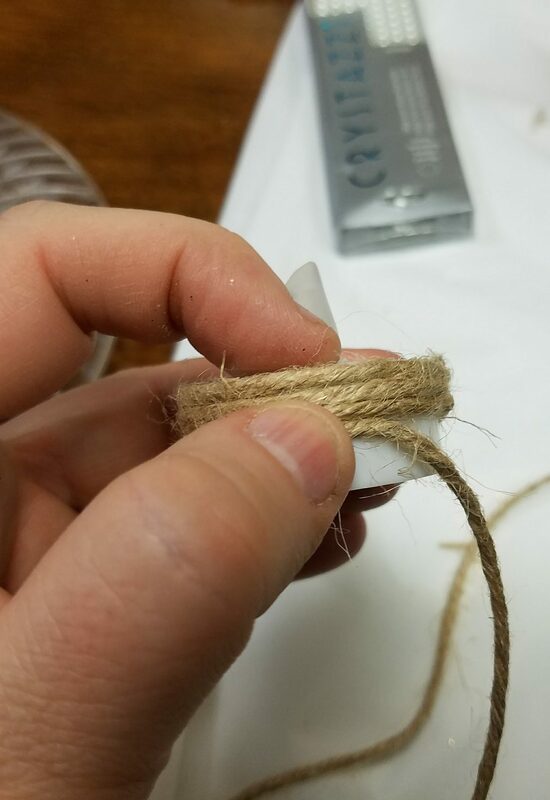 All you need to do is hot glue the sisal twine by wrapping it around the side of the candle. This next step is optional: Remember I told you to glue the fabric base onto the spring? Well, you can place your candle there and you are done. But I decided that I wanted the light to be a little higher so that my angel looked more illuminated. It is an angel, after all! 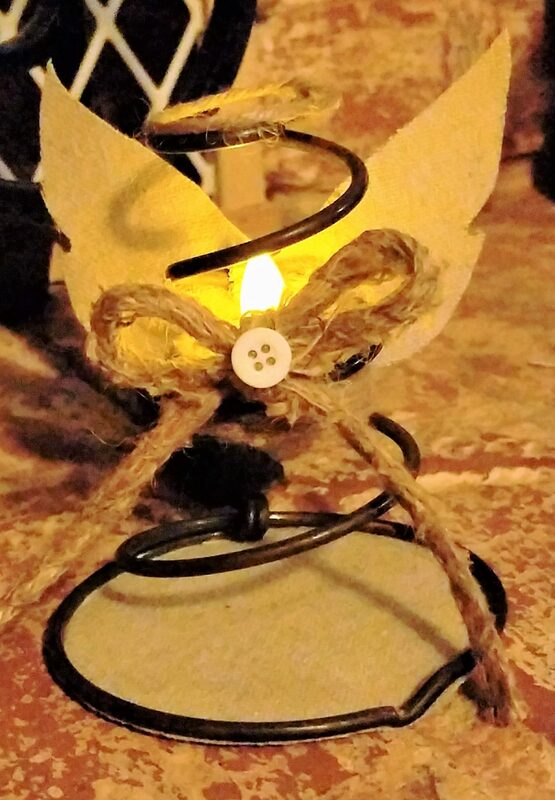 So, another option is to hot glue the side of the candle a little higher in the spring, right about the height of the bow. I would love to see how yours turned out. Don’t forget to follow us on Facebook and Pinterest for updates. Thank you! I’m glad you like it! Cheers! love this idea. 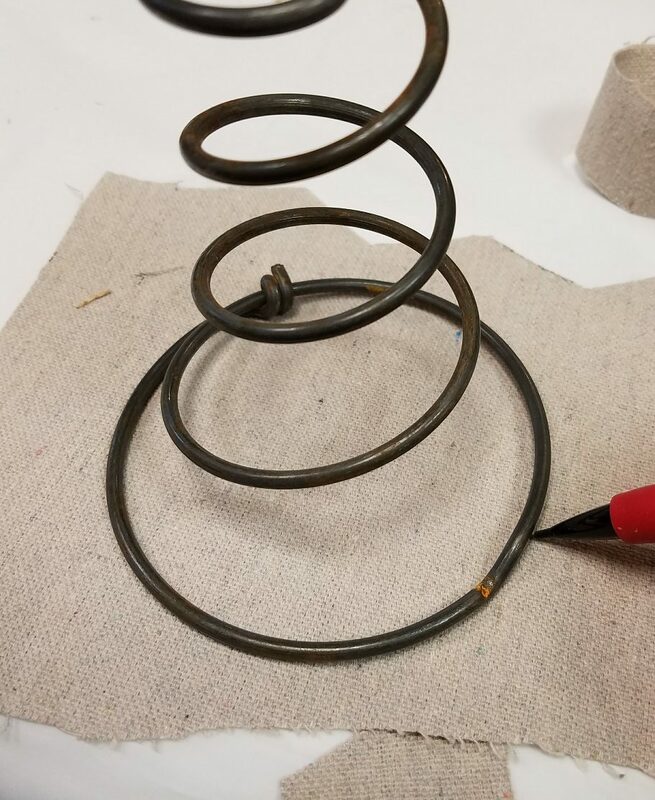 if i don’t have the spring, i imagine i can use wire? not sure how i can make it so round and even. great craft and i like the terrarium idea too. Definitely! 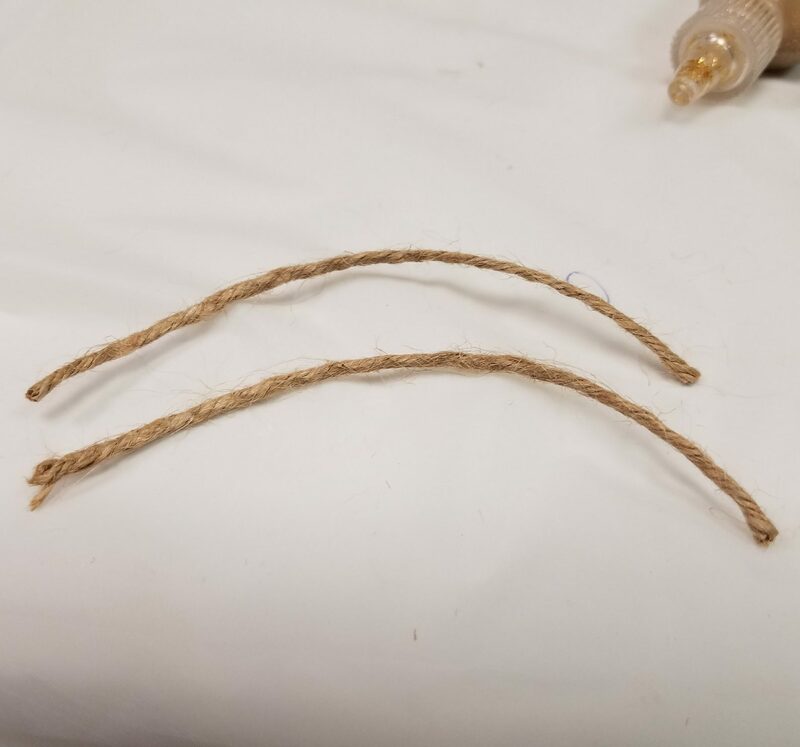 You can use a higher gauge wire to roll the wire around and make it round, and you can use a strong cylinder as your base like a rolling pin or something similar then taper at the top.